Are you reading for some super-powered singing? As fans know, this spring The Flash and Supergirl will meet up once again to stop a powerful threat…and sing a few jaunty tunes. It’ll all take place in a special musical episode that will feature the warbling Music Meister as the baddie. Other than the villain, however, much of the info on the episode has been kept under wraps. Until now, that is. 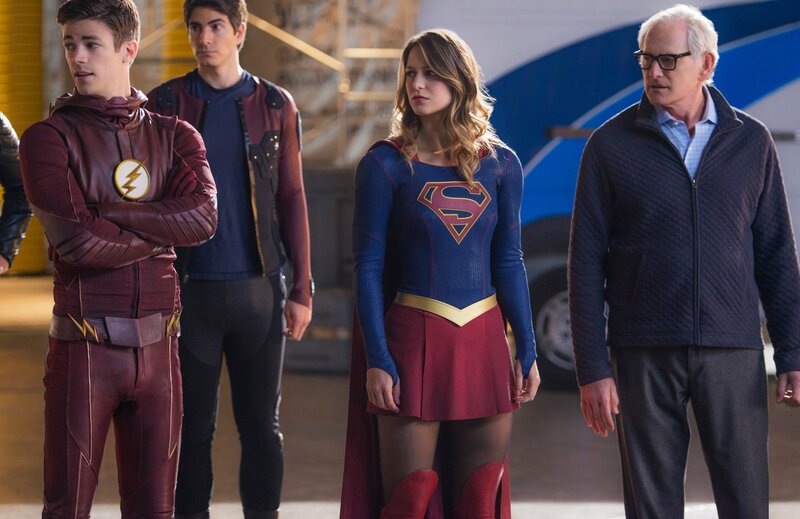 The vast majority of the action will take place on The Flash Episode #317, which airs later this year on 3/21, the crossover will officially kick off at the end of Supergirl Episode #216 on 3/20 – similar to what we saw in this season’s Dominator crossover. Episode #317 of The Flash, entitled “Duet,” will be directed by Dermott Downs and is highlighted by singing performances from Grant Gustin, Melissa Benoist, Jesse L. Martin, Victor Garber, Carlos Valdes, Jeremy Jordan, and John Barrowman, while also including non-singing guest star appearances from Supergirl’s David Harewood and Chris Wood. While fans unfamiliar with the two CW shows’ casts may see this as an unusual move for a super hero franchise, it makes perfect sense when you look at the pedigrees of many of the stars. Both Gustin and Benoist co-starred on Glee. Garber and Barrowman have performed on the stage and are renowned singers (look for Barrowman in a small, memorable role in the musical version of The Producers), while Martin was part of the original cast of Rent. In other words, these guys can sing, as comic book fans the world over will discover this March. So what do you think? Are you ready to strike a tune with two of your favorite small screen heroes?